Over 8000 vehicle matches in one place. Search easily today. Not sure where to find your paint code? Please click here to find out how to locate it on your vehicle. Paints with the same name can be used as alternatives if your paint code is not available. The Holts range of paints has been specially developed to give you the perfect match to your car’s colour, for repairs and renovation. The range covers 8000 paint colours making it easy for you to find your ideal shade. Paints available in local stockists – find one near you today. Holts paints can be used on more than just cars – from bikes to BBQs, you can spray virtually any metal surface. Simply choose your colour and get painting. Developed to perfectly match the colours used by car manufacturers and to the same design standards, the paints guarantee manufacturer quality and finish – so no one will be able to tell where you’ve covered up the imperfections. At Holts, we’ve developed a system to make it incredibly simple for everyone to identify and find the colour to match their car – whether or not you know the name and/or colour code of the paint. If you don’t know the name or colour code of the paint, simply enter the manufacturer, colour and year of the car and we will scour our database for the matching colour. 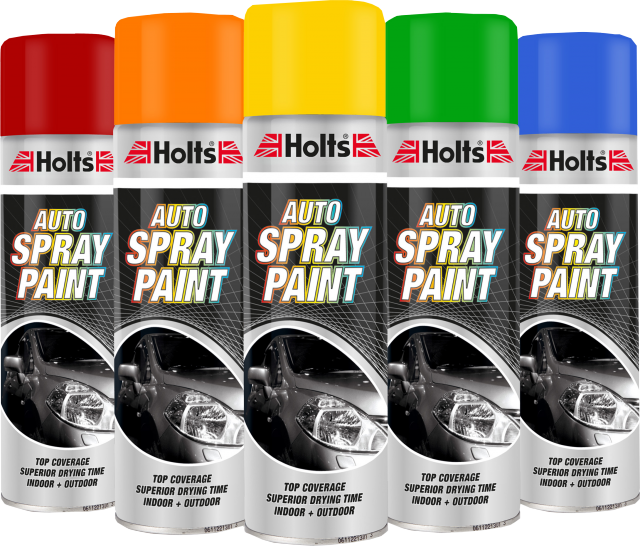 Stocked all around the country, the different colours of the Holts Paint Match Pro range are incredibly easy to identify – the lids are coloured by the paints inside. Simply spray the paint onto the car’s bodywork and leave to dry – it really has never been easier to solve superficial damage to your vehicle. 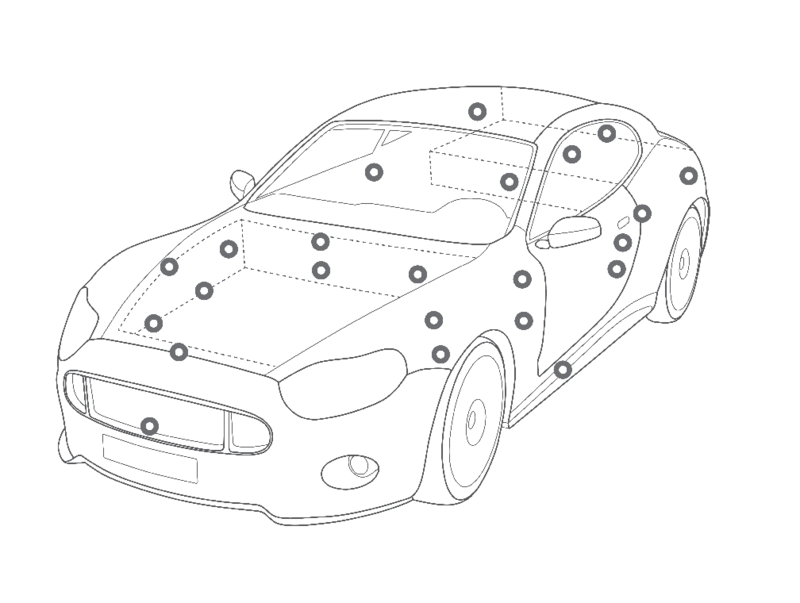 Your paint code can be found on your car – the image shows the most likely places to find it. If you’re still struggling, your service history or owner’s manual will tell you exactly where it is.